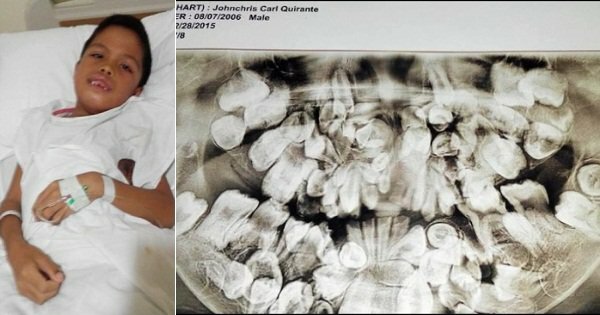 Must See: An Incredible Kid in Cebu has 300 Teeth! Our smile is a pleasant expression that can positively be contagious. A mood can be changed whenever a person smiles, even with missing teeth. But I am not quite sure if the condition of this young man in Barangay Looc, Dumanjug, Cebu will make you smile. 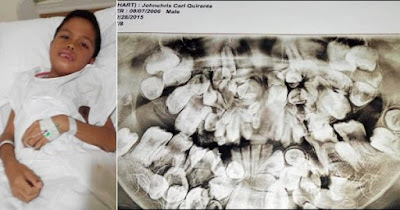 Johncris Carl Quirante, 9, has 300 teeth. 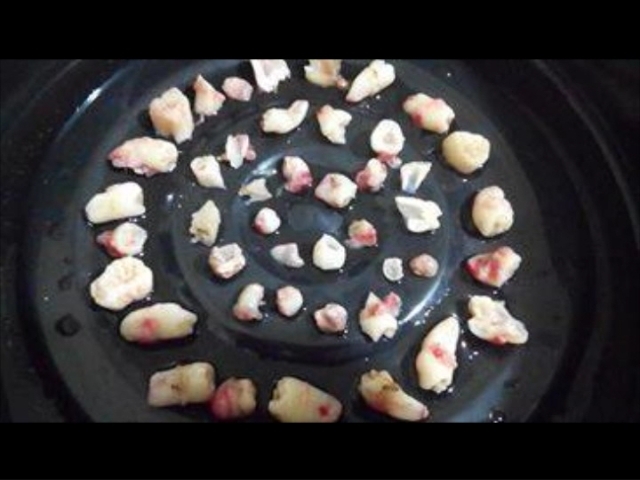 He has a very rare condition called hyperdontia. According to studies, the causes of this are both hereditary and some evidences of environment. Many supernumerary teeth never erupt, but they may delay eruption of nearby teeth or cause other dental or orthodontic problems. 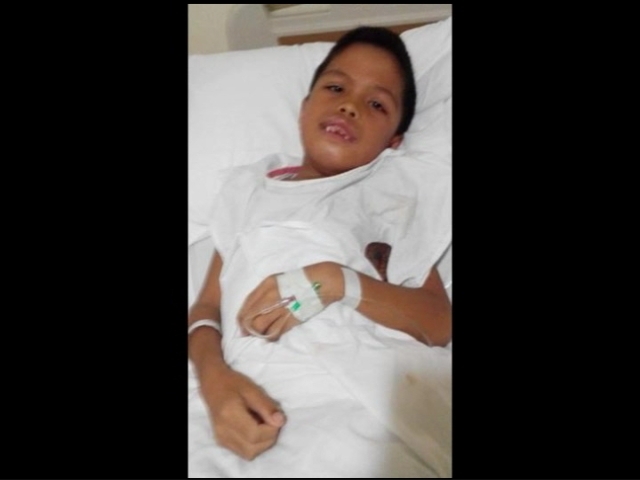 Quirante underwent a surgery to remove 40 of his incisors last Thursday, using pyogenic granuloma treatment. 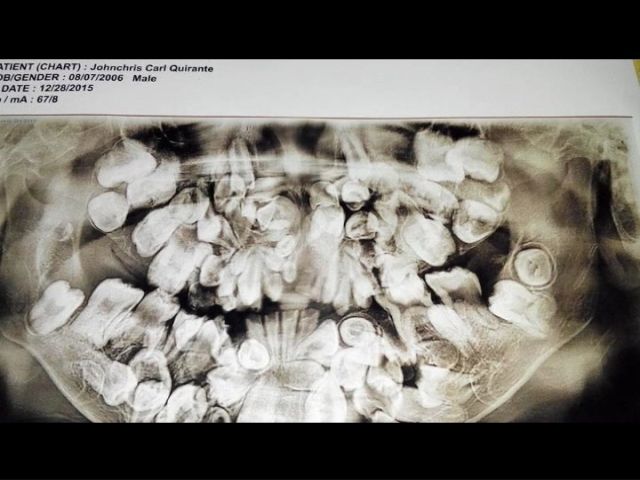 An X-ray of his mouth revealed the numerous teeth that the kid has and the doctors were shocked. He still needs to undergo seven more surgeries to extract the excess. Despite his condition, Johncris still lives a normal life. He goes to school and manages to impress his teachers with his studies. In an interview, he mentioned that he dreams to be a successful Civil Engineer someday. Kudos! You are one of a kind.